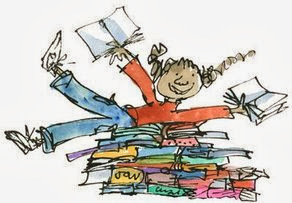 Booktrust has announced the definitive list of 100 books to read before you're 14 - and to celebrate we are giving away five books from the list of your choice! 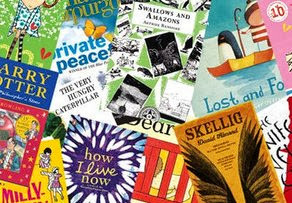 Drawing from over 90 years' experience recommending children’s books; Booktrust experts selected the final 100 from an initial list of 500 books and are now asking everyone to join the debate and vote online for their favourites on the list (www.booktrust.org.uk/cbw). The nation’s top books will be announced on November 25th so pick up a book, get reading and tell Booktrust what you think! Booktrust are giving you the chance to win five books from the list in its entirety from the eclectic mix of traditional classics and modern greats that Booktrust believe are must-reads to fire children’s imaginations and turn them into life-long readers. To be in with a chance of winning five of these fantastic books you can enter via the Rafflecopter entry form below. What a great top 100, very hard to choose 5! Brings back so many memories from my teaching career and more recently reading to my grandchildren. What a fab selection in the top 100. Commented on 'Pine Cone Hedgehogs'. Amazing books! I'd pick The Tiger Who Came to Tea, Charlotte's Web, The Worst Witch, Where the Wild Things Are and The Queen's Nose. Commented on 'Raspberry and White Chocolate Roly Poly'. There are so many wonderful choices though, it was a hard decision. Commented on 'Dinosaur Fossil Cookies'. Commented on 'Friendship is Magic - Welcome To Ponyville'. We would love The Tiger That Came To Tea, Where The Wild Things Are, Charlotte's Web, The Milly-Molly-Mandy Storybook, Stig of the Dump and The Boy In The Striped Pyjamas. Commented on '5 Walking Games for Kids'. Commented on 'Caramel Choux Pastry Buns'. Im following via blovin email and pinterest. The jolly postman, hungry caterpillar, we're going on a bear hunt, dear zoo and each pear each plum. I commented on watch bake create - transport and following via bloglovin as Kate Davies, email as katedavies21@yahoo.com and google+ as SatanicGoth. meg and mog, little mouses big book of fears, i want my potty, flat stanley, my naughty little sister. i commented on fireworks and food.